Over the last decade we have witnessed the rapid proliferation of online networks and Internet activity. Such activity is considered as a blessing but it brings with it a large increase in risk of computer malware — malignant software that actively spreads from one computer to another. To date, the majority of existing models of malware spread use stochastic behavior, when the set of neighbors infected from the current set of infected nodes is chosen obliviously. In this work, we initiate the study of adversarial infection strategies which can decide intelligently which neighbors of infected nodes to infect next in order to maximize their spread, while maintaining a similar “signature” as the oblivious stochastic infection strategy as not to be discovered. We first establish that computing an optimal and near-optimal adversarial strategies is computationally hard. 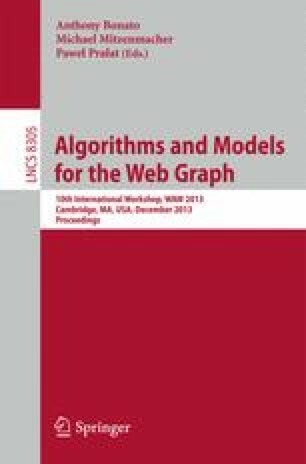 We then identify necessary and sufficient conditions in terms of network structure and edge infection probabilities such that the adversarial process can infect polynomially more nodes than the stochastic process while maintaining a similar “signature” as the oblivious stochastic infection strategy. Among our results is a surprising connection between an additional structural quantity of interest in a network, the network toughness, and adversarial infections. Based on the network toughness, we characterize networks where existence of adversarial strategies that are pandemic (infect all nodes) is guaranteed, as well as efficiently computable.